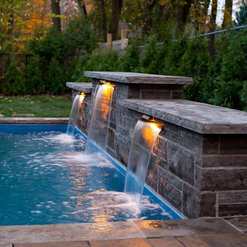 There are many items to consider when purchasing a pool that can greatly effect the final price. 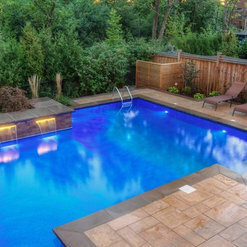 An example would be an automated safety cover,which typically start in the $14,000.00 range, this type of item can greatly increase the final pool price. Private tropical oasis, anyone? We build long-lasting pools and spas that are simply tropical resort–stunning! 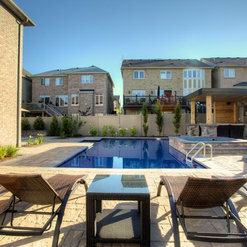 Why not transform your backyard into everyone’s ideal resort experience!? These days, when pool projects are notorious for cost overruns and poor service, Tropical offers families a trouble-free, even enjoyable, way to get the perfect backyard addition. A new pool – or a renewed one – is a big decision for people, and we make sure it’s a great one with both pool and project management expertise. So if you’ve been dreaming about that pool with everything you want for everyone you care about, choose Tropical. For the all-inclusive experience. All the time. 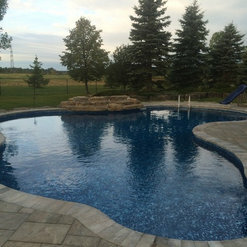 We hired Tim, owner of Tropical Pools, to complete our pool build and installation. 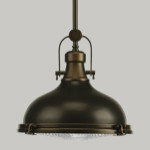 Tim was great to deal with and delivered the project on time. He helped us through the decision process and always answered our calls or questions. His team is also amazing. Andrew, our project manager, was always sure to have the team on site when he said they were coming and was very flexible with timing to ensure the work was coordinated with the landscape company. (He also gives a great pool school lesson and is available to answer our questions as we learn to love our new pool). 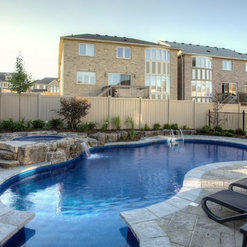 Chris, Steve and Luke, the team that installed our pool, were professional, courteous and a great group to work with. Overall, a great experience. Our pool is amazing and we love it!! Thanks Tim and the Team at Tropical Pools. Tim, Andrew, and team were amazing to work with! Everything from conception to completion went as planned and where Tim impressed us the most was any questions or concerns he was always available! Even more challenging these days is with the after sales support if we had something we weren't sure of Tim always answered our questions. We wouldn't hesitate working with Tropical Pools again and will recommend them to anyone we know doing a pool. We were very happy with Tim and his crew. Tim was very knowledgable and spent the time answering our questions and concerns. He was flexible in our plan for the backyard and tried his best to accomodate our needs. His crew was punctual and extremely hard working. They did an amazing job and we couldn't be happier with the end result. Tim was also there for any after service needs and did his best to keep us happy. We would highly recommend tropical pools to anyone!! We have a beautiful pool to enjoy every summer! Highly recommend! Tim & his crew were quick, courteous, caring (even for our surrounding plants in gardens) & professional! They are very responsive to questions/concerns. Price is very reasonable as well. We absolutely LOVE our pool and have been in it every night since opening July 1st (2 mths now) What a great summer to have a pool. 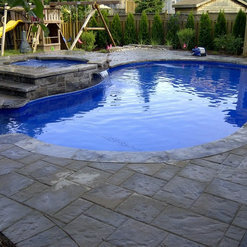 The hard-working crew at Tropical Pools did an amazing job on our pool! They were able to accommodate us on short-notice and completed the job with lots of summer left to enjoy it. They had great ideas and suggestions. Our backyard has been transformed to a relaxing space where we enjoy spending family-time together and it is has become a great place for entertaining. 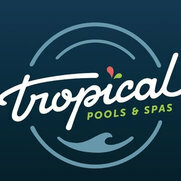 Tropical Pools was a local pool company we wanted to support based on a number of recommendations from friends. In the end it was a wise choice to work with Tim and his team. From the early design/quote stage to the final walk through it was a pleasure working with Tropical. We were very particular about our backyard project with the expectation of high quality work plus attention to detail and Andrew and his crew did exactly that. There are a lot of pool companies to choose from however Tropical is the one we strongly recommend you contact first. Tim and his team were professional and worked well with our construction contractor to meet the required timelines. Although we haven't had a chance to enjoy our new pool, it looked beautiful (just before it was finished and closed for the winter). I know if there are any concerns when it's opened in the spring Tim and his crew will take care of it and ensure we are completely satisfied. Tim O'Connor is simply wonderful. We met with him to discuss our pool. He is punctual and well spoken. He had a vision for our pool and was able to discuss his thoughts openly with ours. Our backyard is difficult to access. We had two other pool companies come before Tim and they both complained and were charging us more due to the access. For Tim, it wasn't a problem. He assured us that our pool would be dug with minimal disruption to our and our neighbour's property. Start to finish in five business days. 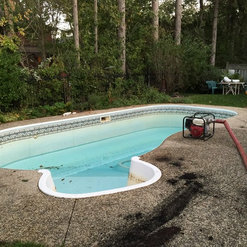 His quote came in as the lowest, with the same quality of equipment as the other pool companies. There weren't any exclusions or provisions. He said he could do it, and he did! We would highly recommend Tim, his office staff, his pool builders and his subtrades to our friends and family. We had a pool installed over the summer of 2015. The crew that installed the pool worked diligently while on site. They advised us of the process as it was being completed. Some complications arose as a result of delayed start because of persistent rain. This may have led to some communication concerns regarding completion and some of the steps involved in completing the process. The site manager was open and did communicate with us. 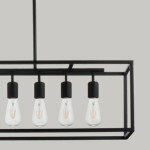 There was some concern about timing as the project was completed in approx. 6 weeks as opposed to the 2 weeks we had originally discussed. Again we are aware that some of this is the result of weather. Some damage occurred to our neighbour's property during the excavation which did not seem to be much a concern to anyone but me. And I believe this damage could have been avoided if the dig had been postponed by a day or 2. the damage was not resolved by the excavator or the contractor. Our relationships with our neighbours are important to us and I feel the excavator and contractor could have been a bit more accommodating in resolving any issues. The crew worked hard on site, one concern was smoking. I understand people smoke, we do not nobody in our family (3 kids) smokes nor do any of our nieghbours. It may have been more prudent to smoke in the company vehicles if it was necessary to do so, in order that it not be seen smelled or cigarette butts dropped on the property. Again I want to state that the crew was a hard working diligent crew, the smoking piece is more of a perception and relationship issue. 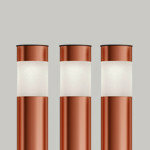 Any problems we incurred were dealt with to a fair level of satisfaction. We did enjoy the pool once we were able to. SOme suggestions I have to help facilitate the process 1. COmmunication- if there are any problems being incurred let the residents know, why and how it will be resolved 2. Prior to construction start- review with resident that everything is in order to proceed ie. permits, gov't agencies to deal with, neighbour information etc. 3. Ask if it is ok to smoke on the property 4. Follow-up make sure all is good maybe on a weekly basis for a couple weeks. Whole pool / patio project was well laid out and all work was done with great care. 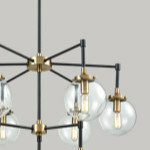 Tim and his crew are detail-oriented and considered. Can only recommend having pool installation done by Tropical Pools! 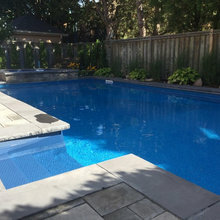 Getting a pool is a large investment so you want to make sure you hire a professional firm to answer your questions, prepare you for all you need to know and offer prompt and quality service. Tropical pools offered all that and more. We are very pleased with Tropical Pools and would recommend them without hesitation.I don't have anything negative to say about this company so I am giving them the highest rating. Tropical Pools was referred to us by several friends. We called the owner Tim O'Connor for a consultation and he promptly came the next day. He was helpful and very knowledgeable and had lots of good suggestions for our pool. 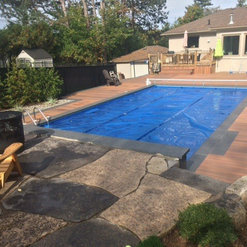 We were impressed with the professionalism of Tim and the crew who worked on the pool. His crew always came when they said they were coming and communicated well with us throughout the entire construction. Timelines were adhered to incredibly well and we were impressed with the crew's work ethic and organization. Tim is always available to talk and always got back to us really quickly with any questions we may have had. Tim's crew was courteous and as neat as possible! Further, Tim's quote was the most reasonable of all our quotes. The final pool construction exceeded our expectations. We are very happy with the look and quality of the pool. I thoroughly recommend Tropical Pools.